has special guitar named for him. Allan Schwinn of Ace Guitars presented Ted Walters a special custom-made guitar, the Ace TW-100N. The guitar is an acoustic-electric guitar which comes in two models, one for nylon (TW-100N) and one for steel string (TW-100S), although Allan Schwinn is quick to point out that the guitar is built so that the nylon can take steel strings if desired. This beautiful guitar plays very well and is unlike other nylon string guitars in that it has a smaller neck, 1 ¾ inches at the nut. 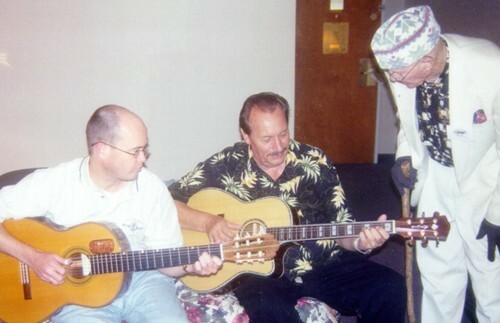 Nokie Edwards played the guitar at the North Carolina Fingerstyle Association's 2001 convention in Statesville, NC. More information on Ace guitars can be found at their website. Ted, an avid Chet Atkins fan, is a retired Marine who fought and was wounded in Korea. He was working as a truck driver when he met Chet in 1956 in Nashville's famous "Studio B". 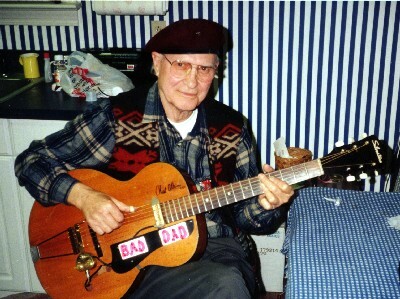 At that time, Ted was the regional director of the original Chet Atkins Fan Club started by Margaret Fields of Kentucky. As Ted recalls, he and his wife were driving from the east coast to California and Ted stopped by the famous studio on a whim as they passed through Nashville. After a few questions out front he learned Chet was actually inside producing a record. He told the receptionist his name and that he was with the fan club and after a few minutes she came back and said "Mr. Atkins wants you to come on in." "Chet stopped the recording session for a moment and we made some small talk. Then he invited me to stay and watch if I wanted, so I did!" recalls Ted. Over the years Ted and Chet traded letters and greeting cards, and in 1992 when Chet came to play Ted's hometown of Winston -Salem, NC, Ted was called and asked to make arrangements to get Chet situated in his hotel room and drive him to the show. This was to become an informal job for Ted for several more years. "I drove to all the shows and became his liaison" says Ted. "I'd go early, get the hotel room, check out how to get to the concert hall, check the dressing rooms and everything to make sure when Chet arrived we could have everything set for him. I rented and drove the cars, I knew everything, down to where the bathroom was!" Ted was even flown out to Austin, TX for the "Read My Licks" TNN special Chet made in May of 1994. The show featured guest appearances by Suzy Bogguss and Steve Wariner. Many, many folks owe Ted a debt of gratitude for introducing them to Chet. Ted always tried to share Chet with others when he could and when it was convenient for Chet. One of those fans was Allan Schwinn. In the years leading up to Chet's death, Ted was often a guest at the Atkins home and he and Chet played once or twice together in Chet's living room. However, Ted says Chet was really more interested in hearing Ted play. 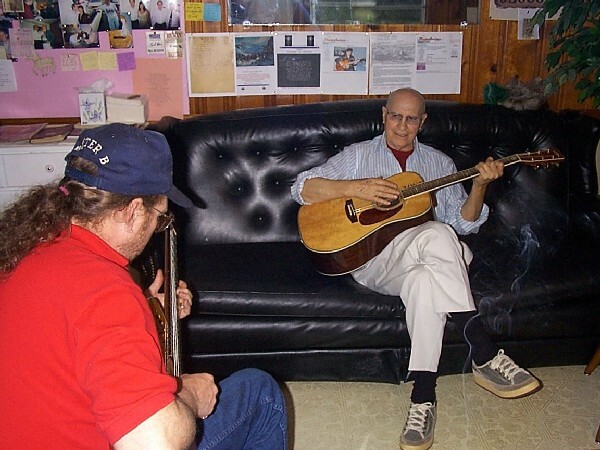 "He loved to hear me play my 1931 Silvertone, tuned way down low," says Ted. "Once I was on Chet's back porch playing while Chet was on the phone with Jerry Reed," recalls Ted. " Chet said to Jerry "I'm here with Ted Walters and he's got his 31 Silvertone tuned down so low only the worms can hear it!" 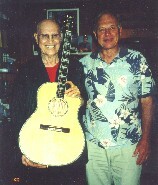 Ted Walters drove Chet to his last public concert in Knoxville, TN in 1998. "I really treasure the time we had alone together, just the two of us talking and joking around in the car. We were very close." Ted recalls the last time he saw Chet was at Chet's house.